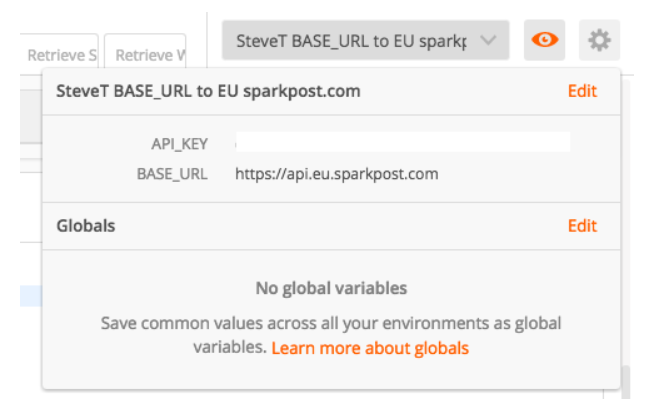 One nice thing about SparkPost API documentation is the easy access to a “Postman collection”, which we’ve made available since March 2016. Whether you are just starting out with APIs, or if you are an experienced hand, Postman enables you to get started easily and be immediately productive with your SparkPost based development project. Jump forward to March 2018, and our collection was in need of spring cleaning, reflecting the numerous API improvements we’ve made (while avoiding breaking changes). We’ve just done that, bringing it into line with current API features and documentation. With the launch of our public sign-up SparkPost EU service, with API running on https://api.eu.sparkpost.com, we need a flexible solution to support varying URLs. .. yet anyone can change it at environment scope if they need to (taking precedence). Note the little red square “E” (environment scope) has replaced the orange square “C” (collection scope). The collection itself is hosted via a link to Postman’s own site. That makes it really easy to get started, as your browser knows which app open for you. However, we wanted to go one step further and host the collection source (which is just a big JSON file) on Github, so that you can easily notify us of issues and propose changes or improvements directly. So, that’s pretty much all there is to it. 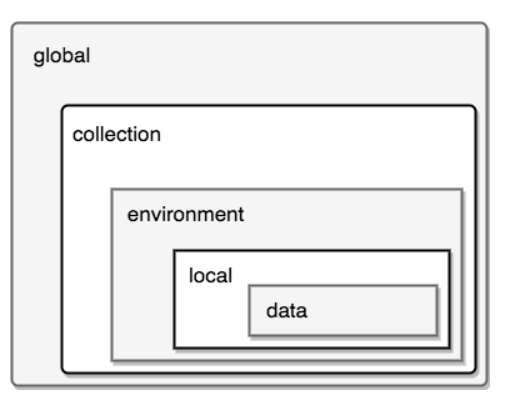 The collection is now nice and fresh, and you can easily use it with Enterprise and EU endpoints. If you have any comments, improvements or other suggestions on our Postman collection, please get in touch via Community Slack or direct on Github.